Millennium 7 Publishing Co.: Oil YOUR Social Media Strategy? 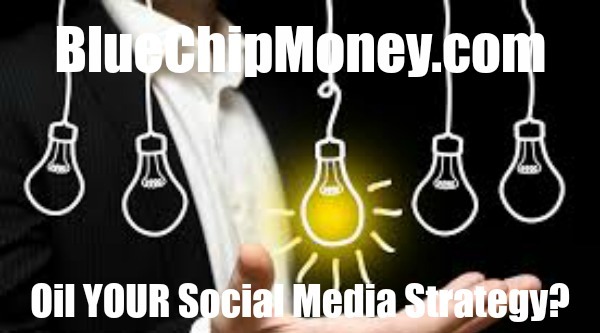 Oil YOUR Social Media Strategy? What Stops Modern Marketing Teams from Oiling their Social Media Strategy Regularly Compared to Their Marketing Automation and Email Marketing Stack! Related Article: Long Lasting Social Media Success? Way back during my college days, I read a post somewhere on a popular social pin-up board -- "If you want to sell ice-creams to your audience, start from Social Media. Today, social media strategy is more than just selling ice-creams, I am sure. Time has flown since then, and it shows in the numbers for social media popularity. YouTube is cool, Facebook is newsy, Twitter never sleeps, and Instagram is the new queen bee of social media. All these social media platforms have their own ways of engaging customers. Yet, they are all tied with that single thread of ‘attention’ that everyone craves for, audience and businesses alike. Most businesses online have a sizeable social media presence, and they stash out billions to keep their presence healthy, clean, and active. Yet, not many social media teams can justify their effectiveness or how productive they are in turning a loyal audience base into a sustainable customer base. For most, it’s a good thing to have – just because your competition is doing it – or for that matter, everyone loves doing it. As the MarTech landscape continues to grow at a brisk pace, the number of new social media platforms actually saw a significant jump compared to the regular technologies. This makes it much harder for marketing teams to identify what’s hot and what’s not unless the social media platforms themselves have results to show. Even in 2018, measuring the social media performance remains a hard metrics to analyze. Apart from the number of followers, automated posts and time spent on the posts, it’s a plain field beyond these numbers. Most marketers continue to see how much revenue a particular Facebook post has brought, or how audiences react to a YouTube video. It does not take a rocket scientist to say that the number of likes, shares, and followers, are in no way telling how the content is working and how it could convert attention into dollars. Based on our interactions with global marketers, business leaders, and CMOs, we have identified the top challenges that hinder social media ROI. Today’s marketers face seven interesting things we learned about social media and their role in turning into sizeable revenue streams..
1. Social Media is a good thing to have in a CMO’s tech stack. 2. Most marketing teams would prefer a tool or a generalist human marketer to handle social media channels. Specialists in social media are still hard ROI governors. 3. Beyond Facebook, Twitter, and YouTube, most companies have not made any solid social media plans to grow. 4. Social media strategy for LinkedIn for businesses remains the most organized, effective and value-based medium to connect with customers, partners, and other businesses in general. 5. If you do Instagram advertising right, chances are higher you would sail through the next phase of disruptions in the industry. It’s got everything that other’s missed in 2018, including live video streaming. 6. Content and social media marketing teams are working in silos. The ownership lies with social media teams, but content rules. Does that affect ROI? Yes, it does. 7. Social Media is like a goalie. It’s not how many you saved, but how many goals you let in. Well, we are referring to those fake news, memes, offenses, and political comments you made and later repented. Plus, are you following those chatbots, aye! Red card. In our numerous posts on social media marketing, quantifying social media success could be connected to audience data and making it more personalized. It is lagging, but that does not mean it is failing. Marketers love social media, and they are firmly in line tracking their social media efforts regularly. Guest Authored By Sudipto Ghosh. Sudipto is Sudipto is a technology research specialist who brings 9 years of professional blogging and technical writing experience to Martech Series editorial team. He has developed cutting-edge content for over 100 websites and mobile applications. Our ‘Wordsmith’ is an engaging conversationalist and has done more than 200 interviews with some of the leading names in automobile, digital advertising, IT/ITES, medical technology, real estate, gemstone certification, HVAC, tourism and food processing industries. Apart from technical writing, he loves to blow off steam by chronicling stories about top medical professionals, innovators, spiritual 'gurus', gym trainers, nutritionists, wedding planners, chefs and off-beat hobbyists. The best place to find him beyond work hours— the shadiest underground gym in the city. He is an ardent sports buff and contributes with his witty live commentary too. Follow Sudipto on Twitter.